Dr. Kira J. Baker-Doyle is an Assistant Professor of Education and the Director of the Literacies, Technologies and Citizenship Studies Programs in the School of Education at Arcadia University. 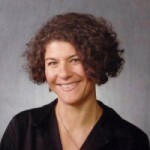 She co-created and facilitates the Connected Learning Certificate program, an institutionally-distributed program designed to cultivate K-16+ educators’ leadership, networking, and engagement in Connected Learning. Her research centers on teacher professional development, social network theory, and community engagement, especially in urban schools and communities. She is the author of The Networked Teacher: How New Teachers Build Social Networks for Professional Support, published by Teachers College Press. Dr. Baker-Doyle conducts workshops and academic talks for diverse audiences of teachers and scholars about her research on teachers’ social support networks, and has worked with national organizations such as the National Writing Project and the Children’s Literacy Initiative. At Arcadia, Dr. Baker-Doyle teaches courses in writing and literacies. She has a special interest in the use of online technologies and multi-media to support student learning and community-building. She frequently discusses these interests in her blog, http://kbakerdoyle.wordpress.com, where she documents and discusses critical issues in education, connected learning, civic engagement, and mindful practices. She is also an avid twitterer (@KJBD), occasionally hosting an open #networkedteacherchat as part of her courses.